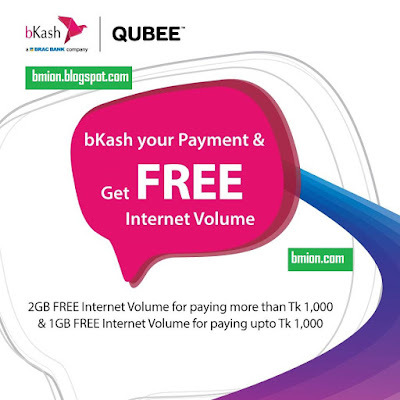 Qubee bkash your postpaid bill and get FREE internet volume! bkash your postpaid bill and get FREE internet volume! Enjoy 2GB FREE internet volume for paying more than TK. 1000 and 1GB FREE internet volume for paying upto TK. 1000. It's a limited time offer, so get yours today.